The results aren’t particularly surprising, though. Arrington himself famously wrote last April, “I now need Twitter more than Twitter needs me.” Many people have come to rely on the service and the networks they have built for themselves through it. So it follows that a number of Twitter users would be willing to pay for the service. In fact, in an April poll on TechCrunch, about 25% of respondents said they would pay to have ads removed on Twitter if they service started putting ads in the feed (and 50% supported the idea of ads — which might be a better way to generate revenue than to charge end users directly). That said, a July interview with Twitter founder Evan Williams, also on TechCrunch, indicates that charging casual users is not something Twitter is planning on doing any time soon. So Arrington, who seems to have a short memory, need not worry. What they might be looking at, according to Williams in the interview, is charging corporate users. Given the results of that April poll, it might be wise for Twitter to instead think about charging for ad-free accounts. 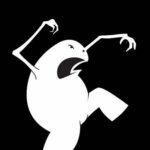 Following the Get Satisfaction model, Twitter could likely do very well charging corporate users to remove third party advertising from their accounts. 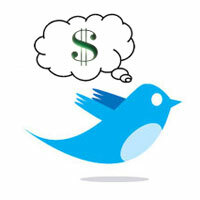 Would you pay for Twitter? Let us know in the comments. Another option: transactions. A new startup that launched today Twitpay, allows users to send and receive money via Twitter. The service handles transactions form $0.01 to $50. It takes a 5 cent fee on any transactions over 99 cents, and allows users to promise money to other Twitter users and have the transaction completed automatically once their accounted is funded to above the promised amount. Speaking of Twitter, remember that you can get a free copy of SitePoint’s The Art & Science of CSS book just by following @sitepointdotcom on Twitter! Visit our Twitaway page for more details. You can also follow me @catone, though I can’t give you any free stuff.